True men don’t kill coyotes, but apparently they do rock out with gorillas. 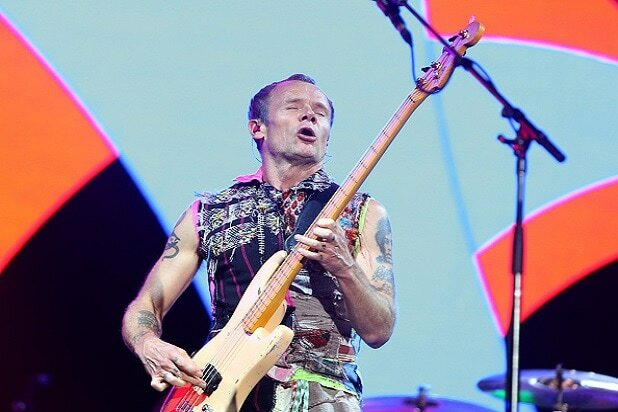 Red Hot Chili Peppers bassist Flea took part in a particularly furry collaboration last week, jamming with super-simian Koko the Gorilla. Actually, judging from the video, Koko did most of the jamming, as Flea chilled out and marveled at the encounter. As for Koko’s technique, we’ll be honest — it could use a little work. But at least she didn’t play with a pick. Watch Koko go bananas on the bass in the video below.